World Cup Semi Finals: What Are Your Team’s Chances? As the FIFA World Cup edges ever closer to its grand finale, we are left with just four nations, all desperate to etch their names into football folklore. But as we near the conclusion to the greatest show on earth, the debate surrounding each team’s chances is hotter now more than ever. Thankfully, you’ve got us to provide a knowledgeable and unbiased breakdown of each side and their chances of lifting the trophy. But… It’s coming home! Following the disappointment of losing the Euros in their own back yard, Les Bleus have come to Russia with a point to prove. They’ve done so by making light work of all whom have stood in their way; most recently Uruguay. Despite France’s performances occasionally leaving a little bit to be desired, they did impress in dispatching four goals against Argentina, with young starlet Kylian Mbappe propelling himself even further into the global consciousness. with two goals. Our friends from over the channel arguably have the strongest team overall, especially in terms of squad depth, with other emerging stars like Corentin Tolisso and Benjamin Pavard. So, when you consider a new generation of players along with the winning pedigree of the already established players like Antoine Griezmann, Paul Pogba, N’Golo Kante and Olivier Giroud, is it any surprise that they have reached the last four? But, will they reach the final? Belgium are slap bang in the middle of their golden generation, and it seems they might finally be capitalizing on the abundance of talent in their ranks, with everything gelling together quite perfectly in this World Cup. They’re no longer a dark horse of tournaments gone passed, but are firm favourites to go all the way. Since they’ve already eliminated the other tournament favourites Brazil, in a very convincing fashion, and star man Eden Hazard has emerged as a contender for player of the tournament and the Golden Ball trophy. They now face a tough match in the Semi Finals in the form of the other favourites France, but the truly scary thing about Belgium is that they still haven’t hit their best form in this competition. This could be the Red Devils’ best chance to make the most of their star-studded line-up that they truly possess and eliminate France. The match between the two French speaking nations is a difficult one to call, but whoever prevails will likely be the favourite to lift the World Cup. The tournaments dark horses in many a past football tournament, have hit the ground running and Croatia look better than ever. The Croatians have been quietly going about their business whilst managing to somewhat slip under the radar to reach the Semi Finals via two penalty shootouts, despite being arguably the best performers in the group stage. They may not be the first team that comes to mind when you think of potential World Cup winners, but they aren’t without lots of quality. Real Madrid’s Luka Modric has been one the world’s best midfielders ever since his move from Spurs, plus Ivan Rakatic has been a mainstay in Barcelona’s engine room and Mario Mandzukic remains one of the most underrated target men in Europe. They will pose a unique threat to England, who won’t be used to a match where they won’t dominate the ball, and the Three Lions might spend more time defending than they would like, which could pose problems. The biggest concern for Croatia is that their performances in the knockout stages haven’t hit the heights of their early matches, particularly the 3-0 drubbing of Argentina. They scraped through the last two rounds via penalty shootouts; and could easily have suffered defeat in either game. However, there is something to be said for dogged determination, just look at Portugal in the Euros in 2016. Despite this, Croatia will still probably take the title of outsiders for the World Cup, but England are most definitely in for their toughest match of the tournament. The mighty Three Lions (still unbiased) are being propelled by a rather curious “It’s Coming Home” social media campaign which seems to be working. Now, if you’ve been in the country over the last three weeks, you’ve probably noticed an optimistic buzz around the place, which would be a major understatement to say the least. 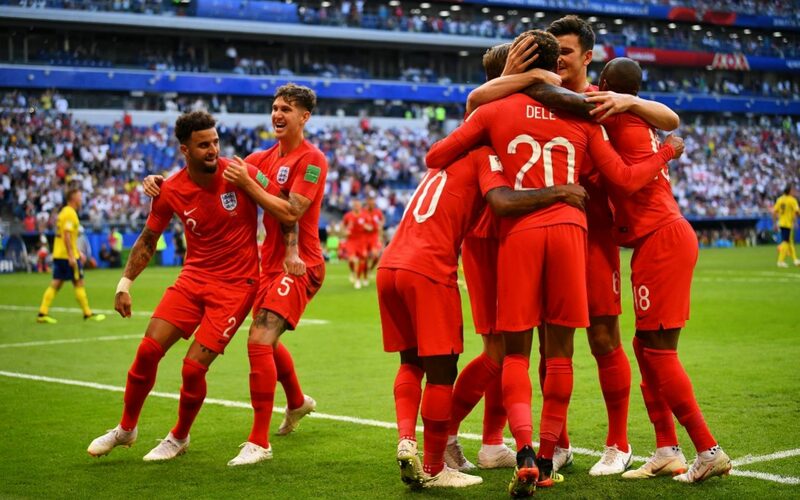 This is obviously since it’s the first time in what feels like decades, (because it’s actually been 28 years) that the England team have gone through a World Cup Semi Final since 1990! Imagine that? Gareth Southgate’s young side hasn’t been weighed down by the expectation that the media caused our so-called Golden generation to crumble under, before our very eyes, with lacklustre or disappointing exits and performances in World Cup’s in 2002, 2006, 2008, 2010 and most definitely in 2014, with never going past the Quarter Finals.